Alas, I noticed that my AOpen i855GMEm-LFS Pentium M mobo is letting out a really high pitched whine when the computer is off. I think it is coming from the Gigabit Ethernet socket, or caused by it. Because when I unplug the network cable the noise is greatly reduced. The primary network jack (nearest to the keyboard and mouse PS/2 inputs) is the one that is making the whine. I will test the other one and see if it is whining as well. This is very disappointing as this computer is so quiet even when overclocked. Perhaps I just won't ever turn it off. But not a very eco friendly solution. Because of the X800 Pro in it, it uses about 54W in idle and about 59W when folding. The coils on my Abit IC7-G squeal when I maximise or minimise a window. It sounds as if there's a little chipmunk playing a violin (really!). This is with a S12-430. My Phantom 350 made the coils hiss when scrolling. Other components are: P4 2.8C, XFX 6600GT AGP, IBM 180GXP 120GB, Audigy 2. Unplugging USB devices and the network cable didn't stop the voilin noises. I'll try swapping hard drives and video cards when I can be bothered and report back then. I'm glad I read this thread, tomorrow I am doing some serious heat sink additions to the mobo, I will take a bit of time to play with the coils. One question.. Do those copper coils carry current? I dont want to short anything. Also varnish wise, anyone done this and what did they use? Was thinking about epoxy glue... Good or bad? An update on the whining coils. Spent a very enjoyable afternoon (My love of my dremmel is somewhat unnatural) cutting up heatsinks. Tried a pencil mod on the Vcore, but it only made a small difference. Think the pencil isn't soft enough. Plugged it all back up and guess what? The whine has disapeared. The heatsink on the power regulator... Its burning my fingers when I touch it, clearly it is working hard. How hot must those mosfets have been before? Perhaps the way the MOBO is screwed down? More likely the first, but I thought I would share. Ps I didn't glue the coils, didn't want to interfere as my previous post suggests, wasn't too sure what to use on them or wether they were live or not. Anyone cleverer than me that this makes sense to? In the spirit of sharing knowledge, I can report that the FSP Zen Fanless PSU exhibits REALLY REALLY BAD coil buzz when paired with an 80GB Maxtor 7200RPM hard drive, model number: 4R080L0. The noise only stops when the hard drive is being accessed, and the rest of the time it sounds like I am about to be savaged by a swarm of hyper-angry bees. Avoid this combination at all costs. My Dell 2405 Flatscreen has a noticable whine. I would advice any silent computer users to stay far away from Dell Flatscreens, especially the 2001, 2005 and 2405 FPW models. All of them seem to have whining problems which I didn't believe until I bought one for myself and experienced it. It's very frustrating to completely silence your computer only to have your LCD monitor(!) start making an extremely annoying whining noise which is only made worse through the fact that it's the only audible noise source in your near. Can someone help me with this buzzing thing: http://forums.silentpcreview.com/viewtopic.php?t=27265 ? Abit Ai7 Had if for 2-3 weeks, bought used from a friend. It had intensive whining sound. This was a known issue, mentioned in Abit and other forums. I sold the board JUST because of that. I could not stand the noise. Now I have an Abit AV8. Very silently, but this gives a whine, too. It is very far from the other... But it is there! Believe it or not this wireless router is noisy, probably comes from the capasitors. But it will be below the level of any PC unless its a truly silence PC with 2.5" HD. I wish I wouldn't need to post here more than once, but my wishes never come true. My house: Extremely dirty power that killed 3 lights so far, made an FSP 300W (BT) whine at a certain power socket, and recent sudden appearance of coil whine with 2 coms in otherwise whineless situations. Probably the main cause of my suffering all these years. Update: As a good case to prove my house's dirty power, I brought a client's com home for repairs. It emits an audible amount of buzzing which I'm very sure is absent in the client's house. Last edited by wwenze on Thu Dec 29, 2005 6:39 pm, edited 1 time in total. 3com Etherlink 905 network card. Terrible whining sound, had to pull it out of the P180! my MSI k8n nforce 250GB whines like crazy when the cpu ISNT in use. it's driving me utterly bonkers. please someone - is there ANTTHING i can do to fix this? apart from playing music very loud? any suggestions as to how i might zero in on the offending component? Are you sure it's the motherboard that is making the noise? Mobo coil whine is quite rare. It's more common for it to be the PSU or graphics card. If it was coil buzz I would suggest putting epoxy resin over the offending coil to stop it moving about, but that doesn't correspond with what you've described. Try stopping the PSU fan while the noise is present and put your ear real close. Ideally all fans in the system should be off if possible while you do this. I'm not sure that mobo coil whine is rare at all. I have already posted about my abit NF7 which had a nasty whine that i cured accidentally. Last night I assembled a machine with an Abit KT-333 (might have the model wrong) that i had spare. Although nothing like as bad as the NF7 was when I first got it, a little whine was noticable when I stopped the fans. Like the NF7 it is defo coming from the power regulator section of the Mobo. So its either the coils or the mosfets making the noise. Cant see why a mosfet would do this, so I am guessing the coils. My guess is that you dont here about this phenomenon very often because most computers coil whine will be drowned out by other components. If my uneducated guess is correct, coil whine is affected by the difference in load from PSU to component running through a power regulator. So perhaps graphics cards get the blame as when you swap out one card for a different one, the load changes and the problem goes away. Bingo the user blames the component rather than the mobo. Rather like when the Victorian doctors came to the conclusion that typhoid was transfered by smell rather than being water borne. My ASRock 939Dual-SATA2 motherboard has noticeable coil whine that only starts after Windows is loaded and only with LOW CPU load. Not sure I'm going to live with it. Anyone else has the same? Update: I have identified that the whining starts only after installing the Creative Audigy 2 Platinum drivers. I have Asus K8N4-E Deluxe with Sempron 3400+. I don't use any fans (Skythe Ninja heatsink works great) and I have two Gigabyte i-RAM drives in RAID 0 as my system/apps drive, together with WD hard drive in SmartDrive enclosure, so my PC is supposed to be nearly silent, but after a few days of use I noticed the whining sound from the mobo components/circuitry, which depended on the CPU load. Fortunately, in my case, I quickly found the solution: when I unplugged USB cable from the cable modem to my PC the noise was gone. So I replaced the USB cable with cat5 ethernet and so far everything is perfect, I mean, when I close my Lian-Li V2100 case I can't hear any noise from inside, even when I work alone late at night. I haven't seen it mentioned here, so in case anyone is interested: The cause of whining coils is an effect called "magnetostriction", where the core of the coil physically expands and contracts as the magnetic field through it changes. It is a source of great annoyance to electrical engineers. Similarly, capacitors whine because they are constructed of two parallel plates which are charged oppositely. The opposing charges attract the two plates, so they vibrate as the charge changes. It's a good enough way of making sound that some loudspeakers are made like this. So this would apply to both inductors and transformers that are components commonly found in desktop computers (especially the power supply)? Regarding the vibration from capacitors, couldn't it be stopped by anchoring the plates in place more securely? Thanks for that info... I hate not understanding something and had no luck googling for coil whine... Now that I know what the phenomenon is called I reckon I will find more information. As I understand it, its all about frequency, so if you get the phenomenon you should be able to eradicate it by altering the load either up or down? Yes. Anything with a coil around a solid core suffers from magnetostriction to some extent. Yes, sturdily constructed capacitors are less affected. ...As I understand it, its all about frequency, so if you get the phenomenon you should be able to eradicate it by altering the load either up or down? Both frequency and the magnetic flux in the core (i.e. the current through the coil) have an effect. It will be worst at a particular frequency that resonates with the core, and it gets worse as the flux increases. So yes, the strength of the affect will vary with the load. Microsoft Wireless Optical Mouse 2.0 "moodmouse"
Whines softly when moving, scrolling, or clicking. Can anyone confirm this - or is my mouse defective? I suppose that whine emanates from your computer and not from the mouse itself, if the whine actually comes from the mouse there's definitely something wrong with it. I think that if you put your ear to your PSU and do some scrolling or move the mouse you will hear that it's the PSU that whines, it might also be the coils on your motherboard or your VGA that emits the noise. Oh Dear God do I need your help! I've been posting about this problem on many forums, and finally I'm in the company of people with the EXACT same problem as myself! I just registered here for this very topic. I have the Asus A8R-MVP, and since I got it I've had what I'm guessing is "coil whine" - so bad I've had a headache for over 2 straight weeks. Sometimes it gets so bad I feel nauseous. I had an X1900XT and a Seasonic S12 500Watt PSU - whch I thought might have been contributors, but I RMA'd both and now have an X1900XTX and Fortron FX-600 GLN (600Watt). 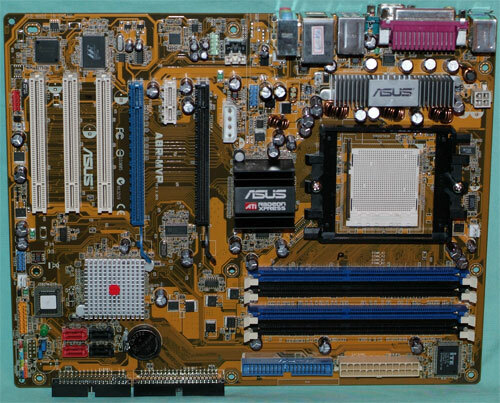 But, as I found out, neither caused it... it's my motherboard. It's at its worst when I scroll with my mouse, but it's all the time regardless. I need help so badly... I cannot seem to figure out a way to isolate the offending coil. The noise is so pervasive it's just impossibel to tell where it's coming from. Sometimes I think it's coming from the back where the USB/LAN plugs are... but sometimes I think it's nearer the middle of the mobo. Thanks for any help, or advice. Yup, exactly the same as my problem. I reduced the noise by smothering the coils in Blu-Tac. You can touch them, you won't get electrocuted; put your finger on each coil in turn, and see if the pitch of the noise changes. Also, is there a way I can make the noise worse temporarily? I don't think I can scroll and push on stuff inside my computer at the same time. you're sure I won't get electrocuted? Well I didn't.... I held my finger on it for about a minute, nothing bad happened. The only really lethal voltages in your PC are in the PSU. How much pressure can I put on the coils? Don't put too much pressure on them, they feel fragile. Just enough to change the pitch of the noise (if it is truly the VRM coils that are the cause). It is a malleable putty-like material which is normally used to stick posters to walls, etc. You can probably use modelling clay to achieve the same effect. Excellent... one more question before I get started. Can that blu-tac stuff hurt the coils by not releasing heat? Can that blu-tac stuff hurt the cols by not releasing heat? Possibly. The Blu-Tac (I'm actually using the UHU White Tack from my previous post) is warm to the touch, but not hot. I've only had it on for 24 hours, so I couldn't tell you if there are any long-term consequences. Also, I run my CPU at a very low voltage (0.95V) so that may mean the VRM's generate less heat; I don't know. No stability problems so far though. At this point, for you, we're just trying to determine whether it is actually the VRM coils that are the problem; once you know the cause of the problem, you can look at various different ways of solving it. I think I'm going to cry. I believe the noise is coming from underneathe a heatsink (see pic of silver heatsink in between cpu and back-endports)... this has been one of the worst computer experiences of my life... and the noise... it's not ear-piercing... it's an "in-your-head all the time, dog whistle kinda sound".